Highly-flexible for your high-growth team. Whether you are a 2-member team just starting off with your idea or a funded start-up looking for a technical team to take care of your development needs, we understand just what it takes to get your idea to the market. We help get your products out quickly with MVPs that you can showcase to investors and your end users, getting their feedback and reaction. We use an agile development methodology for fast delivery without compromising on the quality. We help startups through building solutions that are both - scalable and robust. 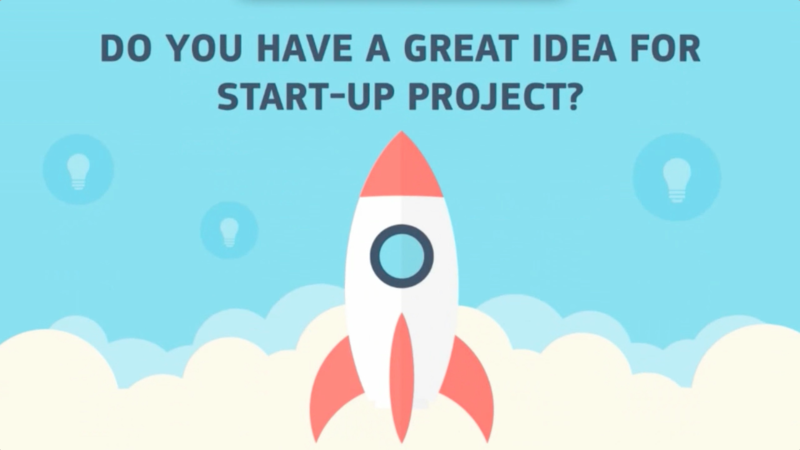 What makes us special for your Startup? Capable Workforce: Leave your worries to our team of highly skilled and dedicated developers- always willing to take new challenges. We love what we do and bring out the best from your idea. With an overall experience of 9 years in the Industry, we have built a solid foundation for any kind of IT project. Clear Communication: We believe in establishing good relations and you will always be our first priority. We establish strong grounds for communication thus resulting in prompt service. Our team is always there for you to handle any problem you have. Agility: Want a change in your project? Found a new opportunity? Or have a new idea? Come to us. We welcome change and understand startup uncertainties. Wherever you think it needs some tweaking just say it. Our responsive team will always give your startup the best flexibility. Rapid Development: We do things with perfection and we do it really fast. To ensure that your startup gains untapped growth we will always achieve your goal within time frame. Your growth is our priority and nothing would be left untouched to fuel the growth of your startup. Reducing your Burn Rate: With flexible pricing and pay as you use mechanism we provide services at most affordable cost as per industry standards. You can always enjoy the flexibility of dedicated team as per your project requirements. We love the web. With continuous evolution of web technologies the internet never remains the same - So why should you? Our passionate coders have an extensive experience in Python, Ruby, Node.js, PHP and a lot more. With such a dedicated team we are ready to take your project in full phase. We have been developing apps for smartphones since June 2008 and have worked on several titles which have been hits and showcased on the App Store and in the media.Our team consists of some of the most experienced mobile app developers in the world who can guide you through the best practices for any of the major mobile platforms. With devices on different platforms, a common cloud solution helps in interoperability. We have developed such cloud solutions for syncing data from end-clients to a common cloud storage area and vice-versa. With our team of certified GCP, Azure and AWS developers with experience in SysOps and DevOps administration are always willing to give the best in class service to you. While we are moving to a Mobile First world, the desktop has not completely lost its hold. A lot of users still prefer desktop applications for operations like video manipulation, VoIP calls. We help you in developing apps for the desktop.